JERSEY CITY, NJ – Statement from Hudson County Sheriff Frank X. Schillari regarding a critical accident on Bergenline Ave., in Union City. 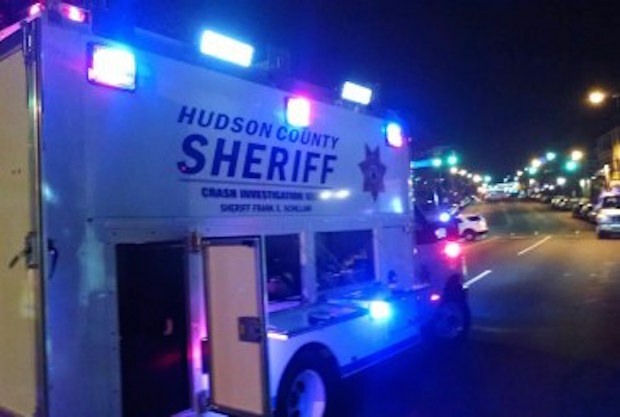 “At 1030 pm, Monday night Union City Police, the Hudson County Sheriff’s Office, Union City EMS and Jersey City Medical center Paramedics responded to Bergenline Avenue & 30th Street on the report of a pedestrian being struck by a vehicle. Union City Police arrived and found 20 year old Ruben Pena, of North Bergen, unconscious on the street. He was riding a skateboard on the sidewalk, south on Bergenline Avenue, when he continued into the intersection and was struck by a Mr. Softee truck that was traveling east on 30th street. The driver of the truck, Angel Jaya, 64, of Cliffside Park, remained at the scene. Pena was transported by Union City and Jersey City EMS to the Jersey City Medical Center where he had to undergo emergency surgery and is currently listed in critical condition. Crash Investigators from the Sheriff’s Office are reviewing the evidence and video from local businesses in the area. The truck appeared to have the right of way and Pena was wearing earbuds at the time of the crash.